If this movie did anything for me, it was that it reignited my childhood crush on Alicia Silverstone. Before you say anything, yes – I’m well aware I wasn’t within the target demographic of this film. However, I do still expect children’s movies to be at least somewhat intelligent and enjoyable for the adults who view the film with their children. This film was neither. Let’s start with the plot. While the central theme of togetherness and family is commendable, the main character’s motivation is what had my eyes rolling. The central arc for our protagonist revolves around him getting to a video game expo for a chance to redeem himself from a moment at the beginning of the film that turns him into an embarrassing meme that has since gone viral. I’m not kidding in the slightest. This is the world we live in. 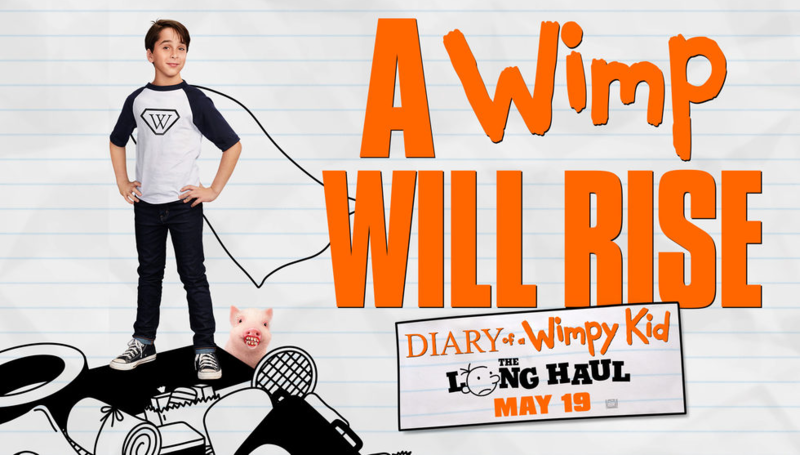 The movie begins with twelve-year-old Greg Heffley (newcomer Jason Drucker (III)) joining his family at a restaurant called Corny’s (perhaps a subtle bit of foreshadowing for the rest of the movie, if you will). The place is packed full of loud and obnoxious people without any resemblance of control making this look like the worst place imaginable to eat. The plot is forced forward through conversation as the mother, Susan (Silverstone), asks everyone who’s excited for the road trip to see the kids’ grandmother on her 90th birthday. Naturally, nobody is looking forward to traversing across the country to Indiana for it, but the saving grace for Greg is it allows him an opportunity to formulate a plan to take the journey off course to reach the expo and redeem himself. You might be asking yourself, how does a twelve-year-old have enough influence to take the road trip miles off course to get to where he wants to go? Well, the reason why (and my biggest gripe from the movie) is that nearly every adult in the movie barely resemble an adult at all. In the time of Greg’s embarrassment at the beginning of the film, every adult in the vicinity shamelessly records and laughs at him rather than helping. Later on in the middle of nowhere, when staying at a seedy motel for the night that’s in the worst condition you can possibly imagine, Greg’s parents don’t even think twice before giving him permission go out to the hot tub by himself at night at his request. There are several examples of these poor decisions made throughout the film, and it was somewhat infuriating that such nonsensical decisions were written into the film just to move it forward and attempt at providing a bit of comedy. Overall, this film was a colossal mess from start to finish with every ridiculous situation being trumped by the next. Everything about it was just lazy. Performance wise, you get what you expect from the child actors. Silverstone and Tom Everett Scott give what they can, but there’s really no substance for them to deliver anything special. The ending was somewhat cute if you can ignore its absurdity, but the best part about it was that it was finally over.